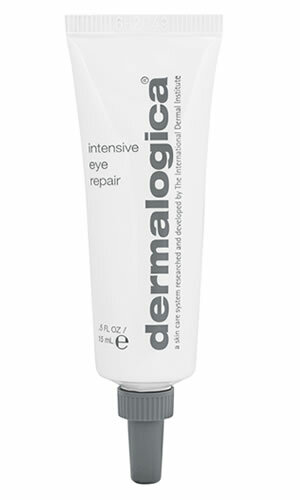 Help combat visible lines around the eye area with this powerful firming complex of skin-rebuilding antioxidant vitamins, protective Silicones, and Red Seaweed Extract. Contains no artificial fragrance or color. Cucumber, Butcherbroom and Arnica Montana help maintain skin's elasticity and texture. Panthenol helps repair signs of premature aging. Antioxidant Green Tea and vitamins C and E defend against skin-damaging free radicals. Cucumis Sativus (Cucumber), Butcherbroom and Arnica Montana: soothing extracts that help maintain the skinÕs elasticity and texture. Panthenol (Pro-Vitamin B5) and Retinyl Palmitate (Vitamin A): help repair prematurely-aging skin. Ascorbyl Palmitate (Vitamin C), Tocopheryl Acetate (Vitamin E), Grape Seed Extract, Ginkgo Biloba and Camellia Sinensis (Green Tea): help defend skin against free radicals.